Prominent & Leading Manufacturer from Chennai, we offer paper, plastic, rubber thickness gauge, elcometer 207 precision ultrasonic thickness gauge, ultrasonic thickness gauge, mtg4 material thickness gauge, mtg2 material thickness gauge and fischer dry film thickness gauge / meter. Clamp specimen between up and down parallel round plates. The pointed graduation is the thickness. 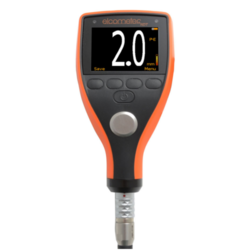 The Elcometer 207 series of Precision Ultrasonic Thickness Gauges is designed to provide accurate thickness measurements on thin materials. 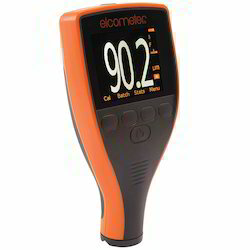 All Elcometer 207 and 207DL precision gauges have the special PLAS mode. 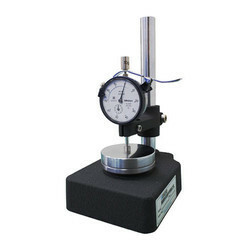 This is specifically designed to provide accurate readings when measuring thin plastics. 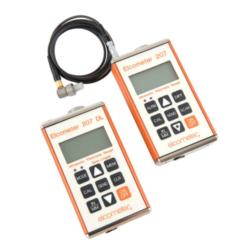 Using the latest transducer designs, the Elcometer 207 precision ultrasonic thickness gauges can accurately measure material thickness from 0.15 - 25.4mm (0.006-1”) without the need to change the measurement mode. We are a popular company known for providing Ultrasonic Thickness Gauge to the clients. This product is used for determining the flakiness index of aggregates. Offered range is precisely manufactured using the optimum quality basic material in compliance with the set industry standards. 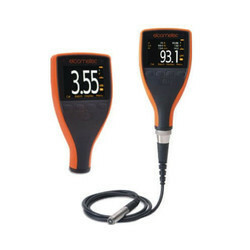 Ultrasonic Thickness Gauge is highly demanded by clients in leading market for excellent market. Pocket instruments with PC-interface can be used for convenient measuring of the coating thickness on literally all metals. This device is convenient and very fast to use. It comes with many features such as integrated probe and easy handling. It also provides good repeatability precision. 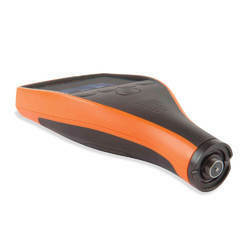 The device features two LCD displays and these have have backlight making them usable in dark conditions and for overhead reading. 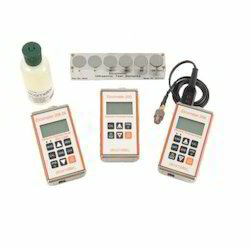 The device can provide statistical evaluation such as calculation of Arithmetic mean value; standard deviation of the measured values, min and max values of a measurement series. The device conforms to various standards such as IMO PSPC for ""Performance Standard for Protective Coatings"" of the International Maritime Organization - Measuring mode acc. standard SSPC-PA2 of the ""Society for Protective Coatings"". 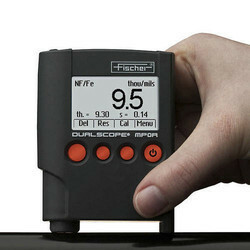 The device comes with FISCHER DataCenter software which allows for the transfer and archiving of measurement data. It also provides statistical and graphical evaluations. The device can also print inspection reports. The new Elcometer 456 Coating Thickness Gauge sets new standards making measuring dry film thickness faster, reliable and accurate, helping you to become more efficient. The Elcometer 456 is available in four different models: E, B, S and T. Each gauge provides the user with increasing functionality - from the entry level Elcometer 456 E, to the top of the range Elcometer 456 T, with memory, alpha-numeric batching and Bluetooth® communication. The original non-destructive dry film thickness gauge, the Elcometer 101 was the world’s first portable coating thickness gauge with the original being produced in 1947. We are offering a wide range of Elcometer 456 Coating Thickness Gauges. The new ElcoMaster 2.0 is a fast, easy to use software solution for all your reporting requirements. Formal quality systems, such as those described in ISO 9000, require that gauges be properly controlled, logged and in calibration. Increasingly, users are specifying that the readings taken by gauges are traceable to National Standards. A comprehensive range of certified foils together with zero test plates is available to ensure the accuracy of the gauges. Coating Thickness Gauge sets new standards making measuring dry film thickness faster, reliable and accurate, helping you to become more efficient. 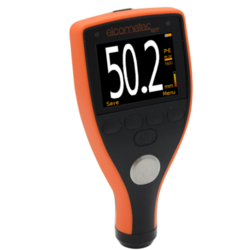 The Elcometer 456 is available in four different models: E, B, S and T. Each coating thickness gauge provides the user with increasing functionality - from the entry level Elcometer 456 E, to the top of the range Elcometer 456 T, with memory, alpha-numeric batching and BluetoothÂ® communication. Separate models, with their wide range of probes, provide even greater measurement flexibility.